Harrison Weathers is a Graphics Designer and illustrator based in Kansas City. He has a double Major in Graphics Design and Illustration and attended school at University of Central Missouri. 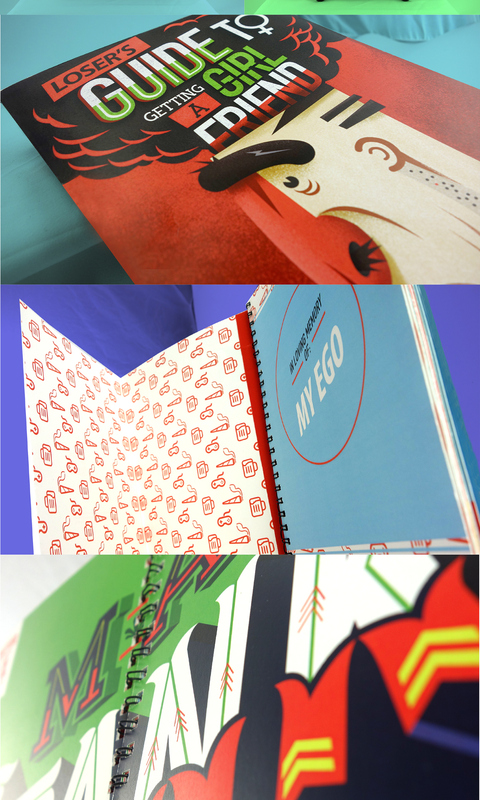 His work focus mainly on Illustration, Graphic Design and Digital Art. His list of clients include P&G Gain Detergents, Bushnell Outdoor Products, Blackhawk! Tactical and Rebelution. We are charmed by his collection and we’re impressed with his work. 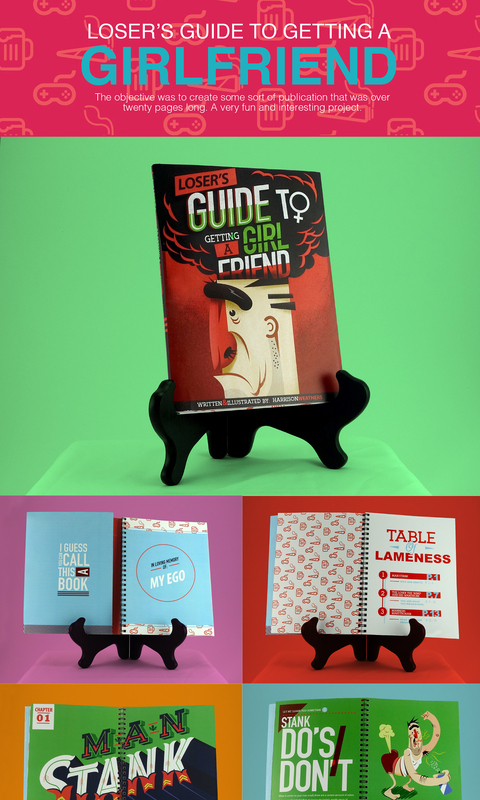 Harrison has lots of amazing creations but we have decided to showcase his project publication entitled “Loser’s Guide to Getting A Girlfriend”.